As Apple’s iPad has proven to be a worldwide success with over 2 million sold, the need for more high-end cases for those luxury minded owners is emerging. Earlier, Louis Vuitton introduced their upcoming iPad leather case , and now Gucci is getting into the game with a line of cases of their own. 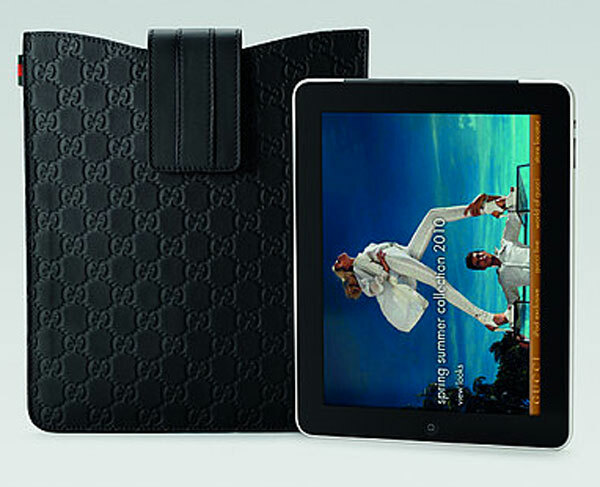 Designed by Gucci’s creative director, Frida Giannini it`s available in black leather and neoprene rubber Guccissima GG. There are some other versions coming in October such as military green and beige GG plus fabric/blue. 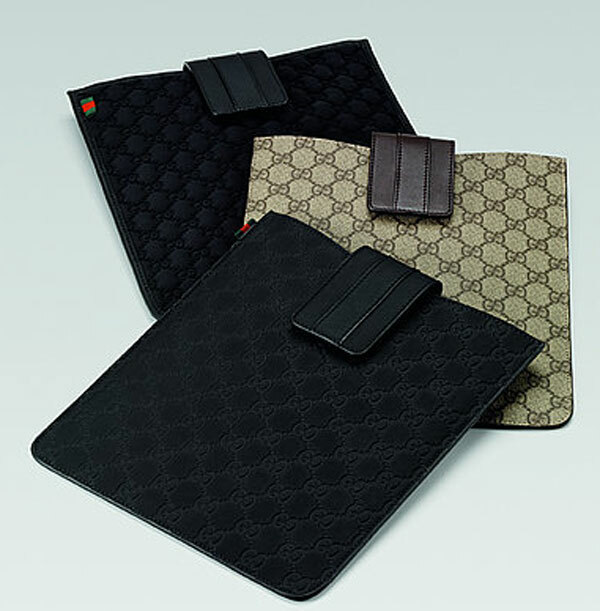 Each iPad case has a strap closure to limit the pressure on the touch screen and is lined with smooth suede that keeps the screen clean and prevents scratching, Gucci said in an announcement heralding the product. 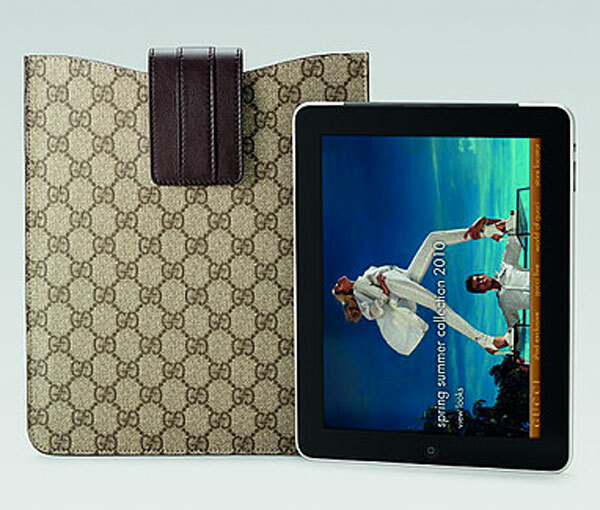 Priced at $230, Gucci iPad Cases will be up for pre-sale starting June 7th on Gucci online shop and finally available for purchase at their flagship stores on June 15th.